The Jumolhari trek is considered one of the many challenging treks in Bhutan. The route takes you from Paro to Thimphu, the same taken by the highlanders of Bhutan. The trek offers the perfect opportunity to get insight into the life of highlanders.This trail is also very popular among botanists and flower enthusiasts as it boasts of an array of high altitude wild flowers and plants. For the first two nights you will be led along the Paro Chhu (River) up until you reach the basecamp at Jangothang from where you can get beautiful views of the Mt. Jumolhari (Goddess of the Mountains). 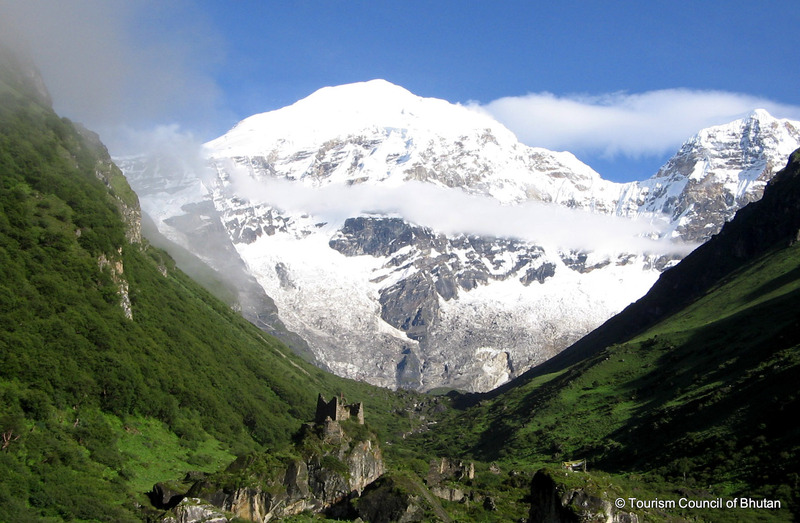 Like on most treks in Bhutan, exhilarating views of the Himalayas are assured on this trek, too. This trek can be done in reverse from Thimphu to Paro and can be further customized.